Each project i unique and depends upon the client and his or her needs. 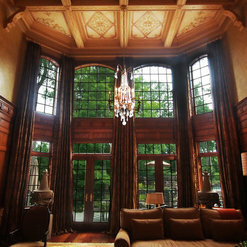 A Joyce Design, Inc., is an interior design firm providing design solutions for residential and commercial clients. Based in central Westchester County, New York, AJD proudly serves clients in the greater New York area, Connecticut and other locations throughout the country. Anne Joyce, principal of A Joyce Design, Inc., truly believes that each project should reflect the client while stretching their boundaries. 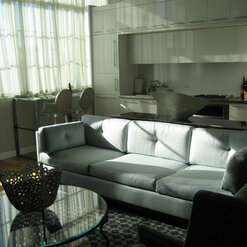 AJD creates spaces that combine clients' needs, lifestyle and vision while never losing sight of comfort and budget. Whether rearranging favorite furnishings, mixing them with new or completely remaking a space, AJD creates individual and timeless interiors in a sophisticated manner. After attending Butler University, enjoying an advertising career in New York City then working with the owner of a major private Contemporary Art collection, Anne chose to concentrate on her true passion - interior design. 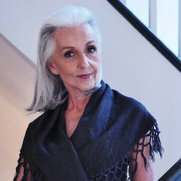 Beginning as a part-time assistant in a Greenwich, CT, design firm, Anne attended New York School of Interior Design and became a designer in her own right, founding A Joyce Design, Inc., in 2006. 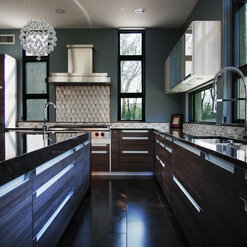 A Joyce Design, Inc., wants to take your vision and make it your reality. Please take a look at some recent projects that AJD is proud to share. 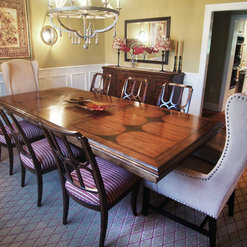 11 Projects for A Joyce Design, Inc.
8 Reviews for A Joyce Design, Inc.
Home Measure Service recently worked with Anne Joyce design. Anne is a great and talented professional. 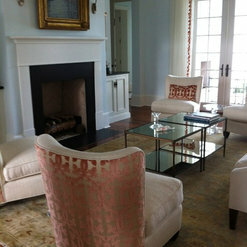 All clients are in great hands, and fortunate to have Anne Joyce design working her magic on their homes. Looking forward to working on many more projects together!! 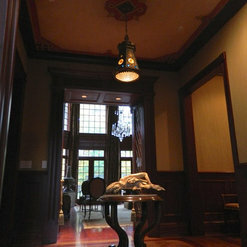 Anne Joyce was hired to remake a formal living room into a study/office for my husband. 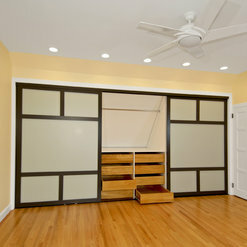 Anne went above and beyond our expectations for this project and we have since hired her to do more rooms in our home. From the inception to the final result with built ins and lighting, Anne was on top of every detail. She is truly a genius and pleasure to work with. This is my favorite type of project - one that begins with several spaces and eventually grows into a whole house design. These clients have been trusting, open-minded and delightful throughout, and we've developed a close relationship. We are currently finishing the children's bedrooms and about to begin transforming the home's lower level into a teen hangout, gym and guest suite. Needless to say, I can't wait to share the outcome in pictures soon! Anne Joyce of Anne Joyce Design is a gifted designer with an incredible eye and a calm, professional demeanor. 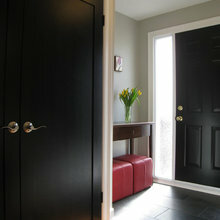 Our project involved the gut renovation of 2.5 bathrooms and the decorating and furnishing of our home. Anne worked with us on the "bones" through to the final details. She has a unique capability to find unique pieces that harmonize .., light fixtures, mirrors, etc. and appear sleek and sophisticated while maintaining warmth. We have a number of light fixtures in our home that are deceptively inexpensive .... Anne has the ability to source items that are very unique without being prohibitively expensive. Our renovation was of a second home so we relied on Anne heavily to manage all details and she was fantastic. She is always sensitive to the times that work for us and our home looks beautiful. We could not be happier with the result and the experience. I was delighted when the McAlisters selected me to partner with them in renovating their lovely weekend home. Our mutual design aesthetics and visions not only made our collaboration work so well but was also so much fun! They made the design and selection process seem effortless, as they could visualize the items I carefully sourced and presented. I was honored that they entrusted me to oversee all aspects of this broad and challenging project. The outcome is stunning, and I cannot wait to share photos soon! Anne Joyce is a pleasure to work with! She is professional, talented and has a great sense of style/design. Anne has a terrific network of suppliers and able to work within budget parameters. Challenges come along with any design project and Anne was skilled at problem solving every step of the way. I highly recommend A Joyce Design. My first project with the Shribers was to redesign their daughter's bedroom as a present for her 10th birthday. Not only did she have an incredible sense of design, she also knew exactly what she wanted it to look like. She and her family were a delight to work with. That project led to completely transforming their family room. All of us worked together to make it the room they envisioned - challenges and all. 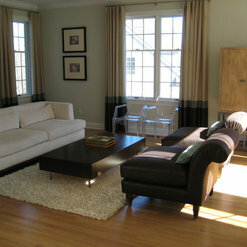 I can't wait to share pictures of both of these spaces on Houzz! Anne has twice designed our homes: once in Westchester and once after we moved to Chicago. Her taste is impeccable; she got immediately what we were looking for. She stayed in budget but encouraged us to focus a portion of that budget on a few carefully curated marvelous things: over-the-top fabrics, a jewel of a cabinet, just the right lighting fixture. Our home is comfortable and eye-catching; her most recent work was done 7 years ago now, and it is still much loved by us and everyone who enters our apartment. Bravo! The Block-Liebs originally invited me to transform their Westchester home to reflect their unique style as well as utilize the many amazing items they'd collected on trips throughout the world. We had barely completed this when their transfer to Chicago led me to transition what we'd done originally to fit into their incredible old-world apartment overlooking Lake Michigan. Not only did we work well together, but we had a wonderful time doing so. I have been fortunate enough to have been able to use Anne's decorating services for three of my residences across the country! My husband and I had a large home in The Woodlands, Texas and a three bedroom apartment on the Upper East side of Manhattan. Anne met the challenge and decorated both homes at the same time. Both were exquisitely decorated using Anne's creativity and flair for unique design. Last Lear my husband and I sold both homes and retired to Ridgefield Ct. Anne and I have been working closely to create our country retreat. Anne is truly a pleasure to work with and is an endless resource for ideas. She is polite and professional and I am thrilled to be working with her again. Needless to say, these are dear and long-time clients who have entrusted me to work with them on their three completely diverse residences. None were a challenge, as we seamlessly worked together with the same vision for each and had fun in the process. Anne Joyce is a Superstar! She has brought fresh ideas that have livened up so many spaces in our home. My husband and I were reluctant to hire a designer but are so glad that we did. Anne is able to stay within budget, incorporate the varying styles and needs of the whole family and she keeps the whole process fun!. We have done several projects with Anne, over the years and now she is our first call when we are considering updates or changes to the spaces she hasn't yet put her stamp on. We would recommend Anne without hesitation and anyone who works with her will consider themselves lucky to do so. The Diteodoros have been absolutely delightful throughout each and every one of our projects. They continue to challenge me while enjoying the process and sharing lots of laughs along the way. Hopefully, there we'll find many more opportunities to work together. 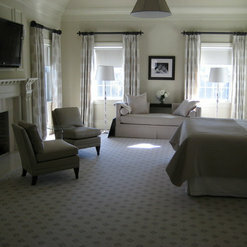 Over the last fifteen years, Anne Joyce has worked her magic on at least three of our home projects. The end game was a stunning apartment on the Atlantic Ocean totally gutted and remade the way my husband and I dreamed it could be. Our home in Westchester took on an elegant yet comfortable look with all her direction and insight into the products which were available and which would work well with our art and antiques. She never lost her patience with our occasional indecision and was a shining light when we were overwhelmed with too many choices. 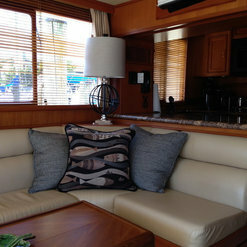 Lastly, we have a special home in Vero Beach which once again she didn't disappoint in making it flow, with color, style and her special brand of unique touches. These clients have such exquisite taste, beautiful furnishings and great art that it was my honor to be entrusted with their first project. While working with them on their other lovely residences, not only were our collaborations challenging, but they enabled me to grow and gain dear friends in the process. They are a designer's dream. 14 Ideabooks for A Joyce Design, Inc. Commented: the floor. What kind of tile is it ? 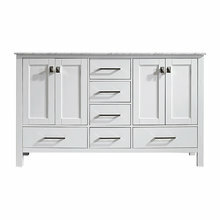 Where can I get it?It's a porcelain tile available at any high-end flooring or tile showroom. I got it at Artistic Tile in White Plains, NY.